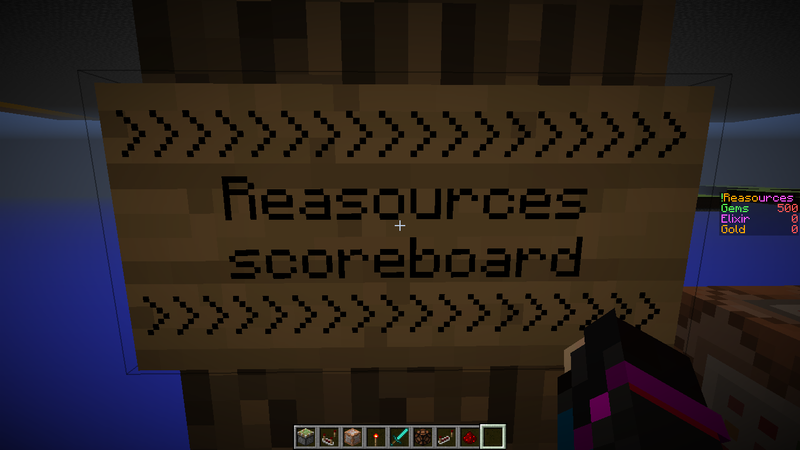 I am busy making a clash of clans map and I have made the reacources scoreboard but when I want to testfor Gold's team(aka=team_1)It just finds random players and not the actual team name ill send the command and a pic! ANY HELP would be apprieciated, thank you! That command looks for the closest player on team_1 with 500 points. Are you trying to test if the entire Gold team collectively has 500 points? Thank you for the effort but I have a new situation! I am trying to test for an item on the ground(which ive gotten right) but now im tring to place a structure using the /clone command but I don't know haw to place the structure where the DROPED item was! I know this isn't for this topic but it saves the effort of having to make a new one! Is this correct what I put in the last command block? I made the objective iron_test? when I tried the last command blocks out put was this? I didn't read a lot of this, fairly hungover this morning, but if you are using /testfor you have no idea who you are targetting with the next commands. The best thing to do is use /scoreboard to assign the entity a value based on target selector and data tags, then do whatever command on that player. Also you cannot /testfor fake players. Nor any kind of targetting. The best way around that is use an armor stand to hold all the scoreboard values and test its scores. here is the command to get the DROPED item! oh<sorry can you ask how can I delete the DROPED item where it was after the structure spawned! don't worry I got the dropped item deletion part correct! Thank you! This will help me a lot alienmist325 with my map! the mob has called "Builder"
execute @e[score_iron_test_min=1] ~ ~ ~ /tp @e[name=Builder] ~ ~1 ~. This is a common misconception. The /tp command does use use relative coordinates from where it is executed, but rather from the target itself. This means that this command will do the exact same as /tp @e[name=Builder] ~ ~1 ~, simply teleporting the entity up one block from where it was. Thank you I was realy puzzled with that one!